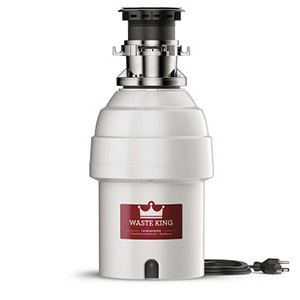 The Waste King L-8000TC 1 HP continuous disposal is one of the best disposals on the market today. With a high-speed 2800 RPM permanent magnet motor, this disposal can efficiently handle all your gourmet waste. This disposer is also septic safe, making it environmentally friendly. The Waste King commitment to quality is backed by the longest in-home warranties in the industry.